At Brimstones and Treacle we take inspiration from Donald Judd’s practice that encompasses art, furniture and architecture. Whilst retaining their distinctions Judd allows them to inform one another, sharing a sensibility of material and form. Judd’s output of deceptively simple objects provide a formal purity despite complexity of their construction, that stand as a testament to his mastery of fabrication and understanding of structure with respect to materials. Despite categorization Donald Judd repeatedly stressed his independence from Minimal Art. He did not want to be assigned to an artistic grouping which never existed as such, and at the same time he also repeatedly drew attention to the importance of material, space and colour as the main aspects of his work. 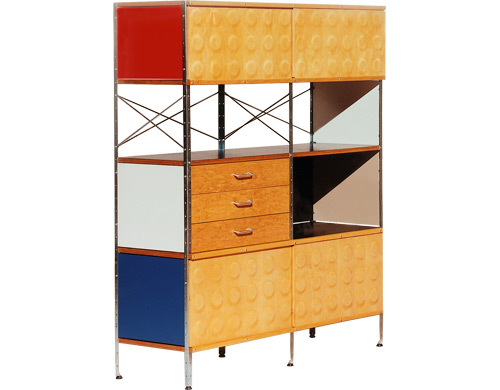 In spite of this Judd’s furniture designs have received little interpretation, by contrast to his sculptures entitled Specific Objects. This gives clear indication of the ways in which design is perceived by the art world; as somehow being a lesser form of practice. This perception is based on old prejudice derived from innaccurate assumptions about how furniture and three dimensional designers work. On the few occasions when Judd’s furniture has been considered, this discourse has purely described the formal indebtedness of it to his sculptures. This is misguided, because it serves a counterpart function simply because it is used. The beholder who stood in front of one of Judd’s specific objects is transformed into a user who sits upon the chair. 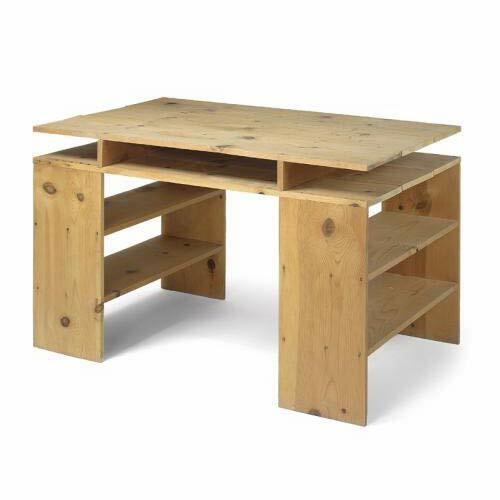 The interconnected notions of function and the user are vital to understanding Judd’s furniture. 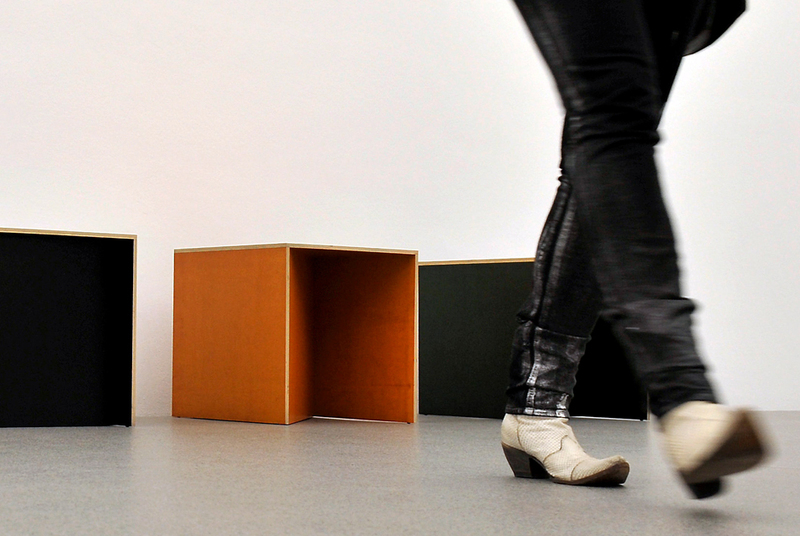 According to Judd, ‘The configuration and scale of art cannot be transposed into furniture and architecture. The intent of art is different from that of the latter, which must be functional. If a chair or a building is not functional, if it appears to be only art, it is ridiculous. Judd states ‘The art of a chair is not it’s resemblance to art, but is partly to it’s reasonableness, usefulness and scale as a chair’. He explains that ‘if a person is at once making art and building furniture there will be similarities.’ The various interests in form will be consistent. ‘If you make simple forms in art you will not make complicated ones in architecture. Complicated, incidentally is the opposite of simple, not complex, which both may be’. 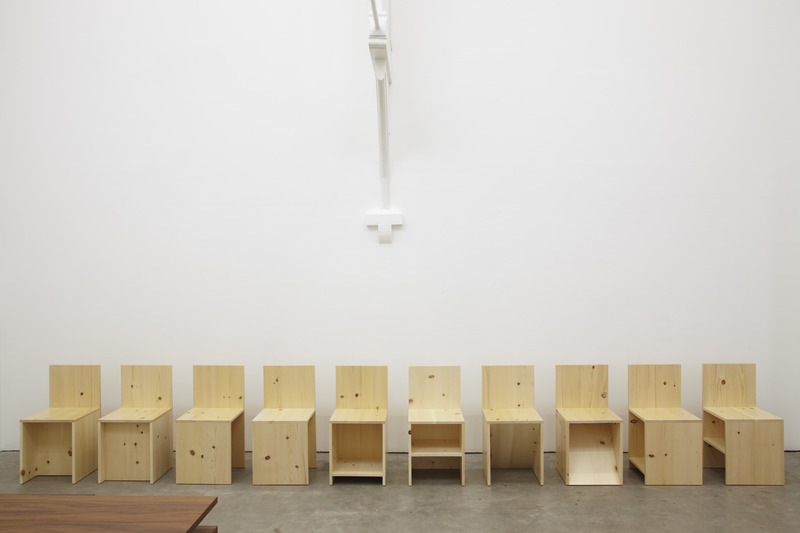 Judd insists ‘a good chair is a good chair’, that the particulars slowly create the forms that cannot be transferred. Taking inspiration from the furniture derived from William Morris he states that since the 1920’s, ‘no furniture which is pleasurable to look at, is fairly available and moderate in price’. This is underpinned by his assertion that bad ideas should not be accepted because they are fashionable, good ideas should not be rejected because they are unfashionable.’ He critiques industry arguing, ‘Architects, designers, business people, even politicians, say what they are giving people is what they want. They are giving people what they deserve, because of their negligence, but they are presumptuous to claim to know what they want’. 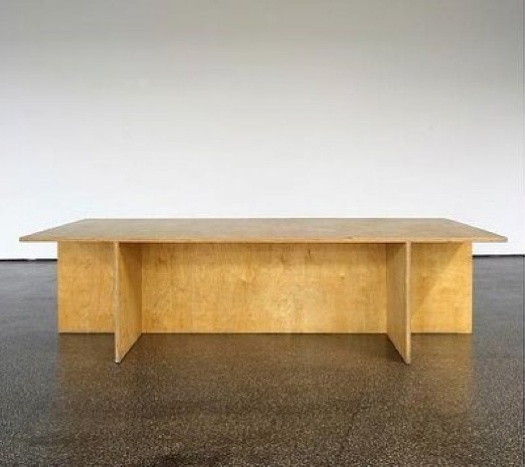 Judd says that he is often asked if his furniture is art, and replies ‘ the furniture is furniture, and is only art in that architecture, ceramics, textiles and many things are art. We try to keep the furniture out of art galleries to avoid this confusion and consequent inflation in price’. A further comment often directed towards Judd is that his furniture is not comfortable, and in that not functional, to which he retorts, ‘the source of the question is in the overstuffed bourgeois Victorian furniture. The furniture is comfortable to me. Rather than making a chair to sleep in or a machine to live in, it is better to make a bed. A straight chair is best for eating or writing. The third position is standing’. Perhaps we need to look again to Charles Eames occasional writings to provide us with a rich theory of furniture design. Eames essay ‘What is Design?’ (1972) lays out such a cogent theory. When questioned, “Is design an expression of art?”, Eames replies that, “the design is an expression of purpose”. He goes on to say ” the design may if it is good enough later be judged as art.” What Eames means is that only the ‘best’ examples of design can assume the condition of art. Design acheives this lofty condition partly through the context in which it is placed and through the legitimisation that this context confers. In Eames writing, good design can only be “eventually” acheive the condition of art, – a lag where time legitimizes also. Eames provides in ‘What is Design?’ a reflexive understanding of how design functions in both vernacular and exhibition contexts, and how perception of design can transform over time, leading to certain pieces making a transition from one context to the other. The vital component of Judd’s work and Eames essay is how design must respond to the function for which it has been produced. What both are saying in essence is that design must be function specific.